The Wizards spent this offseason looking to get younger and more athletic at several positions. With the NBA evolving faster and faster, there were players on last year’s team that no longer fit the bill or the scheme that this team was trying to implement so the front office let them walk. Much has been made about what the Wizards are gaining with their new acquisitions, but let’s take a moment to think about what the Wizards lost over the summer and whether or not they’ve done enough to replace it. The Wizards were the 11th best three-point shooting team in the NBA last season, much ado to the play of Jared Dudley. Prior to the All-Star break, Dudley shot a very impressive 46.6 percent from three-point range and you could even argue that he should have been included in the three-point shooting contest during All-Star weekend. Dudley thrived playing in transition alongside Wall. With the Wizards up-tempo offense, Dudley needed to sprint out in transition, run to his spot on the floor, and John Wall would find him for an open three. Not a lot of dribbling, just a lot of catching and shooting as all 100 of his made three-pointers were assisted. Aside from Dudley and Gary Neal (who played in just 40 games), Bradley Beal was the second best three-point shooter on this team last year shooting 38.7 percent from distance; 3.3 percentage points worse than Dudley. If the Wizards are going to remain in the top-half of the NBA in three-point shooting, Bradley Beal and Otto Porter will need to knock down more threes and at a higher rate this season to fill the void left by Dudley. When Nene arrived in D.C., the team was in array. In trying to clean up the mess left behind by Gilbert Arenas and the cast of characters alongside him; Nene was counted on to provide veteran leadership in a locker room that needed it oh-so-much. And he did. On the court, Nene helped turned this team around especially during the 2013-2014 season where he was a key player in the Wizards’ playoff run. Before the NBA transitioned to the Stretch-4 concept, Nene and Gortat were a frontcourt to be reckoned with. As the NBA evolved, Nene’s minutes slowly dwindled as he was unable to stretch the floor with his jump shot and would have trouble staying in front of younger, more athletic players. Even so, Nene was always a solid presence in the post both when he played power forward alongside Gortat and last year where he served as the team’s backup center. Nene found himself to be the focal point of the Wizards’ second unit as the team often dumped the ball into him on the block if they couldn’t score in transition. His field goal shooting percentage was the highest last year during his tenure in D.C. (aside from 2011-2012 where he played in just 11 games) and was still able to finish 68.1 percent of field goals on shots closer than five feet from the basket. Even though he became less mobile as he aged; Nene was still the gritty hard-nosed veteran that we’ve become familiar with. It looks like Markieff Morris will have no issues taking over as the enforcer for this team, but even so, the Wizards will miss the grit, tenacity and physicality that Nene brought every night. Temple would have games where he’d stuff the staff sheet and you’d think it was his coming out party; but would then have a clunker of the game the next night. Whether his shot was falling or not, Garrett Temple always gave it his all on the defensive end. Far too often last season, Temple was forced into situations outside of his comfort zone and was counted on to play heavy minutes with the injuries to Bradley Beal. Being the professional that he is, Temple left it all on the floor even though he was often outmatched. Temple’s scoring seesawed all season as there’d be nights where he would score in double figures only to be held to four points (or fewer) the following night. Regardless, Temple gave maximum effort on both ends of the floor during last year’s tumultuous season. A feat not too many other players on this team can claim. The Wizards found themselves in the bottom half of the NBA in free throw attempts last season shooting 22.5 per contest. Don’t blame the inability to get to the line on Ramon Sessions. Sessions averaged 3.5 free-throw attempts last season, second highest on this team only to John Wall. Sessions averaged more free throws per 36 minutes (6.1) than several notable players including Blake Griffin, Gordon Hayward, and Carmelo Anthony. Sessions was the spark that the second unit needed. Far too often the reserves had trouble scoring last season. Sessions would pick his spots in transition and attack the hole, keeping the defense on their heels. He didn’t always convert these transition layups but the threat was always there. Not too shabby for a guy who stands 6’3” and is just 190 pounds. 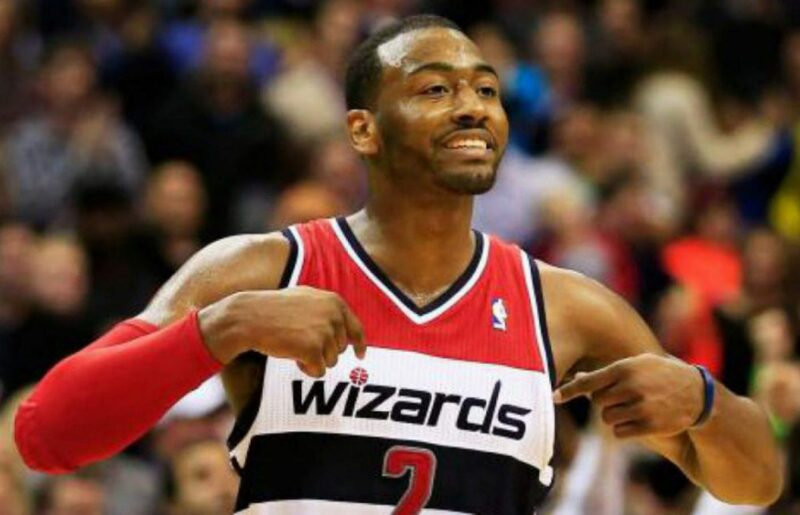 Lastly, for a team riddled with injuries last season, Sessions was the only Wizards player to play in all 82 games. He was never the biggest or most physical guard on any given night, but you can’t overlook the fact that he played with nicks and bruises and stayed fearless in attacking the rim even though he was often the smallest player on the court.